Here is another great post from writer friend Thonie Hevron. Thank you, Thonie! “Writers helping writers” is the motto of my writing club, Redwood Writers, a chapter of the California Writers Club. Granted, it sounds a bit overused, trite maybe even idealistic. But this chapter takes its motto seriously. It’s something we all learn when we become members. From the President, Sandy Baker, Past President, Linda Loveland Reid down to the newest member—all are willing to share expertise, time and the wisdom gleaned from years of scribbling. So when a friend, colleague and critique partner, Billie Payton-Settles, asked for help marketing her new book, I jumped at the chance. After all, didn’t romance writer Sharon Hamilton spend almost a full day helping me set the perfect sig line for my emails? Didn’t Kate Farrell teach me WordPress to help with the club website? I could go on and on, but you get the idea. Payback time. Tonight, after our critique group, Billie took me into her office to show off her new website. It was wonderful! She now had a place where readers, agents and publishers can go to find out about her, contact her and order her book! Another “Yay!” moment was my cousin Sandie, setting up a blog site within days after spending time exploring her new adventure into authorship. Yay, Sandie! She now has two posts on her site, with the promise of more. This while she works on her new book. I know this post sounds like I’m patting myself on the back but my intention is just the opposite: I want to let the world know that these two women have taken the plunge–beyond writing a pristine manuscript and into the brand new world of social media and book promotion. This is not for the faint of heart as it requires commitment, organization and drive. Writing, publishing and marketing books isn’t like a Jessica Fletcher TV show. Times have changed. Publishers and agents demand authors promote their work more than ever before. This is almost as much work as the actual writing. And it’s a tough thing for writers, who are normally pretty shy. It’s work to put yourself and your project out there. There will be times when they’ll be at the keyboard instead of having lunch with friends because of that commitment. Be patient, honor that streak of creativity that drives them. I guarantee, you’ll find a happier friend next lunch date. Billie and Sandie are on the right track and I’m so pleased I could be a part of it. 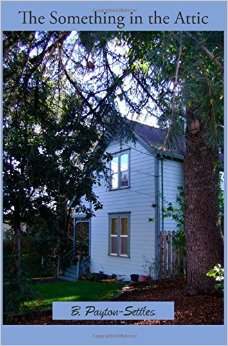 This entry was posted in authors, California Writers Club, Redwood Writers and tagged California Writers Club, Redwood Writers, writers. Bookmark the permalink. Uh oh. Sorry you had that experience.